If you’re looking for a reliable dual-sided mattress that is able to provide you with both comfort and support, then the Nolah Signature mattress might be just the right fit for your needs. 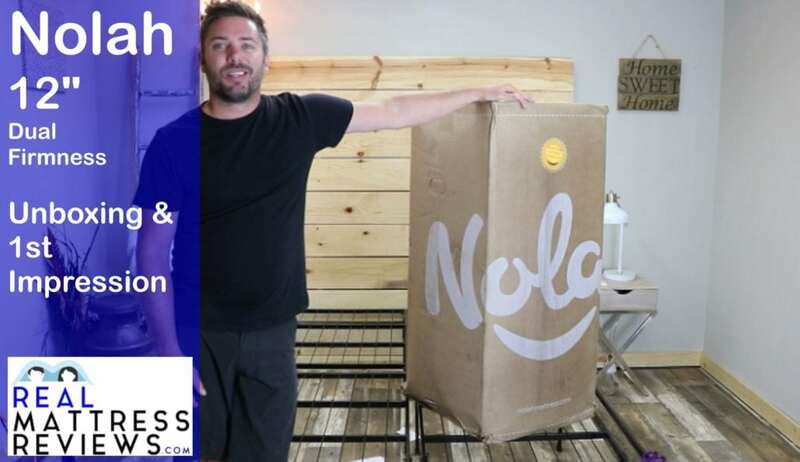 The founding team behind the Nolah Sleep company, which is responsible for the creation of the various Nolah mattresses, has over twenty years of experience in crafting superior sleep products. This particular company is also notable for donating their profits towards wildlife adoption efforts that are dedicated to preserving wildlife habitats and biodiversity. Nolah Sleep has a strong partnership with Defenders of Wildlife, a group that is dedicated protecting animals and ensuring that they can thrive in their native environments. Ultimately, Nolah Sleep in a company dedicated to producing high quality mattresses while also supporting the well-being of the natural world. 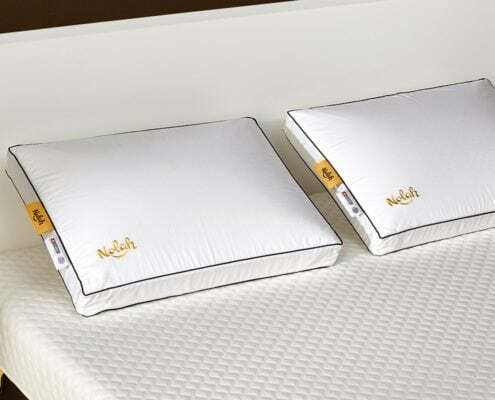 The Nolah Signature mattress in particular, which we will discuss within this article, is an updated and upgraded version of the Nolah Original mattress that is specially designed to provide a superior sleep experience. We hope that you find this article helpful for determining whether or not the Nolah Signature mattress might be a good choice for you and your unique sleep needs. The Nolah Signature mattress is delivered right to your home entirely free of charge. It will arrive compressed and rolled into a box. It’s highly recommended that you get a friend or loved one to help you carry your box inside and to your bedroom, because the box itself is not only fairly heavy (especially for one person alone) but also somewhat awkward to maneuver without assistance. That being said, once you’ve gotten the box into your bedroom (or wherever it is you intend to set up the mattress) actually unpacking it is quite straightforward and easy. Once you’ve gotten the mattress out of the box and unwrapped from the plastic, you will need to let it sit out and expand for a few hours. This time will allow your mattress to regain its full size and shapes after being compressed for the shipping process; this typically takes only a few hours, but in some cases it has taken up to a full day or two for the mattress to regain its intended size and feel, so make sure to take that into consideration. Want the option to choose between firm or soft. If you want a flippable mattress that is dual-sided and allows you to choose between soft and firm, this is a good choice for you. One side is more plush and emphasizes comfort, while the other side is firmer; both sides are helped by the dense core of the mattress that helps to provide you with great support no matter which side of the mattress you use. Want good motion transference reduction. Because this mattress is made out of memory foam, it’s a great choice if you want something that will reduce the impact of vibrations caused by movement. The memory foam layers will absorb most (if not all) vibrations and keep you from disturbing your sleeping partner with any movements or shifts of position during the night. Want a high quality mattress at a reasonable price. This mattress is made out of high quality materials and is specially designed to provide you with a great sleep experience, and yet it is notably cheaper than similar mattresses from competing brands. So if you’re looking for a mattress that is both affordably priced and effective for giving you an excellent sleep experience (with a combination of both comfort and support), the Nolah Signature mattress might be a good option to consider. Want strong edge support. Because it is a mattress made out of foam (and memory foam mattresses typically don’t provide very good edge support), the Nolah Signature isn’t the best choice if you want (or need) strong edge support; it can bear weight on the edges for brief periods of time, but extended use of the edges will eventually cause the mattress to break down and lose its shapes. The Nolah Signature mattress is made entirely out of specially designed memory foams just like the Nolah Original mattress, but this Signature mattress is two whole inches thicker than the original Nolah mattress. This extra thickness helps to make the Signature mattress more comfortable, with a plush and luxurious feel that can help you to relax and fall asleep more easily while still receiving the necessary support for your spine. Furthermore, this mattress is dual-sided. It has one side that is designed to offer soft and plush comfort (with a firmness level of about 4 or 5 on a standard scale of 10), while the other side is intended to be firmer (with a firmness level somewhere between 7 or 8 on a standard scale of 10). This allows you to switch between two different feels and customize your sleep experience as needed. And thanks to the strong core in the middle of the mattress, you will also receive excellent support while you rest regardless of which side of the mattress you use. This mattress also features little in the way motion transference (the phenomena that occurs when movement in one part of the mattress creates a disturbance on the rest of the mattress) thanks to the fact that is is constructed entirely out of different varieties of memory foam. And not only are the multiple memory foam layers great a t absorbing vibrations caused by movement, the eight inch layer that makes up the core of the mattress is constructed out of extra dense memory foam which is even more effective for absorbing vibrations; this means that any vibrations that manage to make it through the top layers will be halted and absorbed into the core layer before spreading any further. These factors mean that if you share a bed with someone and are concerned about disturbing your partner with your movements, this mattress is a great choice for you because of the way it reduces motion transference. Most boxed mattresses that are compressed for shipping will give off some smells when you’re first unpacking them; this occurrence is called off-gassing, and is a totally normal by-product of the compression process that is used to make the mattresses easier to ship. Generally speaking, most of the smell will be coming from the plastic used to wrap the mattress rather than the mattress itself. This is also true in the case of the Nolah Signature mattress, although it is worth noting that your mattress will have a bit of that “new mattress smell” as well. Ultimately, because this mattress is made entirely in the United States and spends as little time compressed as possible thanks to the fast shipping process, there should be very little in the way of off gassing fumes. Any unusual scents that are present will dissipate quickly, most likely within a few hours (although in situations where air flow and ventilation aren’t as good, it might take up to a few days). 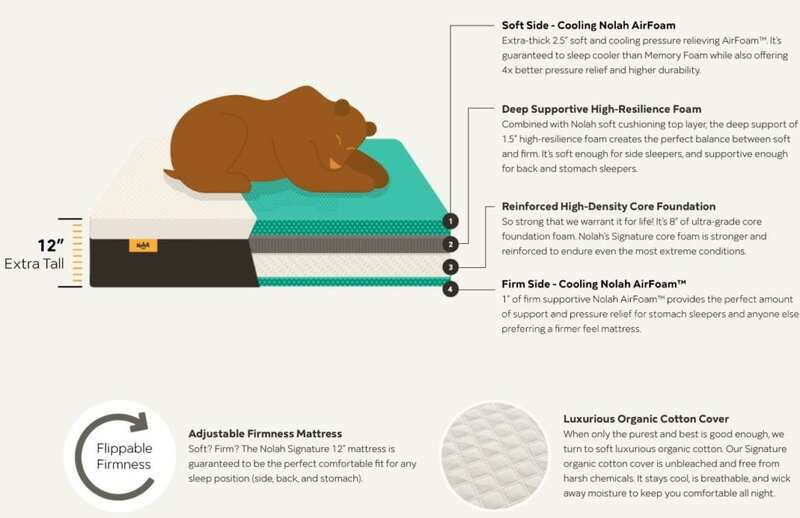 The Nolah Signature mattress has a consistent feel throughout it entirely regardless of which side you choose to use (the softer side with two layers of plush memory foam, or the firmer side with a single layer of less plush memory foam), and can offer excellent support for any sleeping position. That being said, because it is made entirely out of different types of foam, it’s not the ideal mattress if what you need is incredibly strong edge support. This mattress can bear weight on the edges for brief periods of time without being damaged, but because it is memory foam it’s not great for long-term edge support; that is, if you need a mattress that you can sit on the edge of frequently (or if you’re someone who ends up sleeping towards the edge of the bed often), this might not the best choice for you. The Nolah Signature mattress is, as mentioned previously, twelve inches thick and made entirely out of different memory foams. 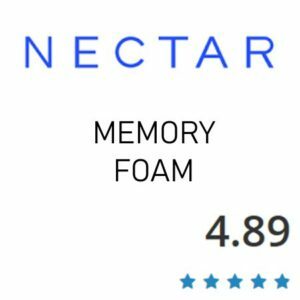 These foams are not standard foams; instead, they are specially designed memory foams that are designed to provide you with additional comfort and support while also being slightly better than standard memory foam in terms of temperature regulation and breathability, as mentioned earlier. This mattress features a core made out of Reinforced High-Density foam. This strong foam core is eight inches thick and helps to give this mattress fantastic stability, durability, and support no matter which side of the mattress (firm or soft) you choose to utilize. The firm side features a layer composed of Cooling Nolah AirFoam. This layer is a single inch thick and offers great levels of support. This side is perfect for anyone who wants a firmer sleeping experience; it’s especially great for stomach sleepers, since it will help keep your spine in alignment while you rest and also help provide additional pressure relief. The softer side features two layers. The layer closest to the dense foam core is an inch and a half thick and constructed out of Deep Supportive High-Resilience Foam. This layer helps to provide deep support and helps to strike a good balance between firm and soft. This layer helps to make this softer side of the mattress a good choice for any sleeping position, whether that’s on your back, on your side or on your stomach. The top layer on the softer side of the mattress is made out of Cooling Nolah AirFoam and is two and a half inches thick. This foam is great for pressure relief (it is said to provide pressure relief that is four times better than other types of memory foam) and is also specially designed to be better for heat dissipation than traditional memory foam. Ultimately, this mattress is made out of high quality foams that are specially designed to provide you with the best sleeping experience possible, complete with pressure relief, body contouring comfort, and improved heat regulation when compared to other all-foam mattresses. The Nolah Signature 12″ will work great on any solid surface. The floor, platform slats, boxspring/foundation and they now offer an adjustable base as well. Memory foam mattresses in general tend to be notorious for the way they retain heat and don’t sleep as cool as other types of mattresses. 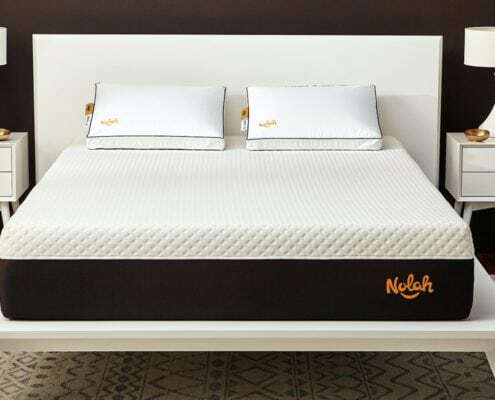 The Nolah Signature mattress stands apart from most mattresses, however, in that is is constructed out of foams that are specially designed to be better for temperature regulation and heat dissipation. As a result, the mattress doesn’t absorb as much of your body heat while you sleep, allowing the mattress to remain cooler for longer so that you don’t get overheated while you rest. The organic cotton cover also helps to provide a little extra breathability, which assists with heat dissipation as well. The Nolah Signature mattress comes with a 120-night trial period, just like the Nolah Original mattress. This four month trial period should give you an ample amount of time to both adjust to using the Nolah Signature mattress and assess whether or not it’s a good choice for your sleep needs moving forward. If for whatever reason you end up deciding that it’s not the right fit for your needs, the returns process is very simple and you should be able to get a full refund. Furthermore, the Nolah Signature mattress also comes with a full lifetime warranty, so if you encounter any defects in the product or experience any issues that compromise your ability to use your mattress all you need to do is contact the Nolah Sleep customer service department and they will strive to resolve the situation as quickly as possible. If you still aren’t sure whether to Nolah Signature mattress is a good option for you or not, we suggest reading the reviews left by others who have purchased and used this mattress. After all, feedback from other customers is an important part of the decision-making process for any shopper. “Very supportive on my back. I was skeptical about buying a mattress online but it has turned out to be a great purchase. Easily delivered and easily set up.” – Laura. 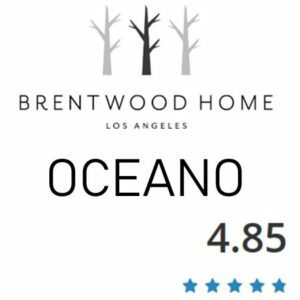 “We’ve had a good experience so far with our Nolah mattress. We are about two weeks into using it, so I still have not formed my final opinion, but it is a very comfortable bed– it’s slightly softer than the Casper and others on the market, which I like. I also have been very impressed with customer service and the cause (wildlife protection) that they support! ” – Gary. “Bought because of the length of the trial period. We have been pleasantly surprised. We’ve recommended to family and friends.” – Jeffrey. “We love it so far. It was a wedding gift to each other. We get so excited to get in bed now, our previous mattress was a low profile mattress pushing 20 years old. We are constantly happy about our purchase. No more springs in my side and no more dead arms for her. We both wake up feeling rested and energized.” – Carl. “Best sleep in years. 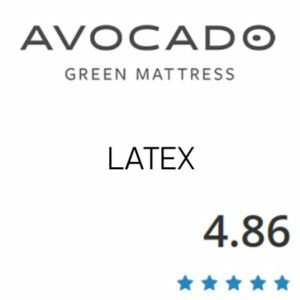 Highly recommended this mattress. We will be getting a full size mattress for our guest room at some point. We are getting another Nolah mattress. ” – John. “Love our new king size mattress. Highly recommend if you are skeptical buying online and you’re putting off a new bed. We did and I wouldn’t change this purchase ever. We sleep amazing now compared to our old spring coil mattress, this is comfortably better and the firmness is perfect for us. We paid less money for the same quality of a high price memory foam mattresses.” – Dexter.